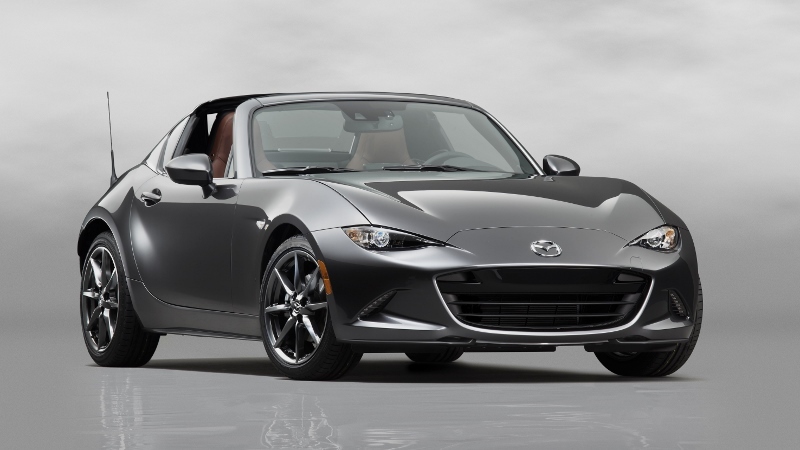 The latest version of the legendary Mazda MX-5 RF sports car offers a new dimension of open-top driving fun, while at the same time staying true to the purpose of Mazda’s previous retractable hardtop MX-5. Making the roadster experience accessible to a broader range of drivers, the new car features fastback styling with a unique rear roof and retractable back window which delivers a distinctive new convertible feeling. 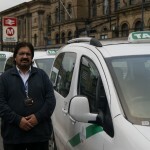 The power roof opens and closes with the press of a button while moving at speeds of up to 10km/h. The roof itself stows away compactly and efficiently. 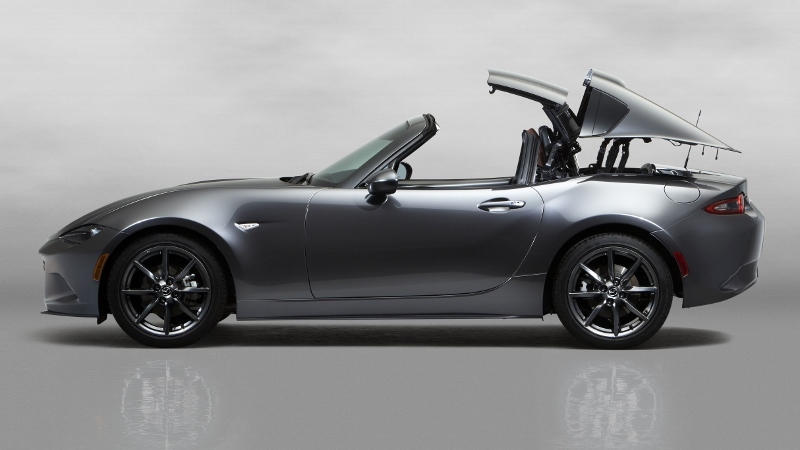 Despite the sleek design, the MX-5 RF offers the same boot space as the soft-top model. It will come with a choice of two revvy petrol engines – the SKYACTIV-G 1.5 and SKYACTIV-G 2.0 – mated either to a delightfully crisp shifting six-speed SKYACTIV-MT gearbox or – exclusively for the MX-5 RF – a six-speed automatic. Another highlight of the MX-5 RF is the selection of body colours. They include Machine Grey, a new premium colour specially designed to accentuate the subtle yet dynamic surfaces of Mazda’s KODO – Soul of Motion exteriors. Paint application is crucial here. Mazda progressed its Takuminuri painting technology originally created for Soul Red, Mazda’s first premium colour, to achieve a precise, high-quality finish that looks as if it were hand-painted by a master craftsman. The system uses a three-coat paint structure consisting of colour, reflective and clear coats. The reflective coat contains extremely thin, high-brightness aluminium flakes, shrinks during the drying process to about one-quarter the thickness of most reflective layers. This causes the flakes to lie flat with regular spacing between each flake for a high-density finish that gives the entire surface a sheen when illuminated and a genuine metallic look.